Perhaps you're still thinking that you would be "innocent" because of all of the good you have done. 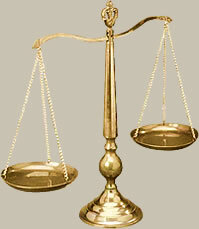 The thought is that on the "scales of righteousnes" your good deeds outweigh your bad. Appealling thought, but not something found in the bible, and it just isn't true. To illustrate this, lets say that you are in a courtroom being charged with drug trafficking. You tell the judge that yes, you are guilty of selling drugs. But then you appeal to the judge's good nature and say "Judge, I know that you are a good and fair judge and will take all the facts into account. I did sell drugs, but I have never murdered anybody and I have also done many, many good things too. I have helped many people. I have sponsered a child in Africa, and I helped fix my neigbors car for free. Since I know you to be a good judge, I know that you will consider all of my good deeds and let me go." If the judge truely IS a good judge will he let you go? Of course not. It is because he is a good judge that he will find you guilty as charged. No matter how many "good works" you have done, you still sold the drugs, and judgment is sure. But what will that mean for you if you were to die right now and stand before God in your guilty condition? The bible speaks of a place called hell. Does this concern you? It should. If not, continue no further and take the good person test. If it does, then I have some VERY good news for you! Continued: the Very Good News!